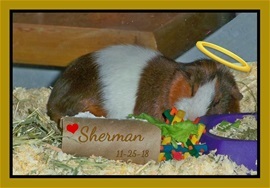 On Nov. 25, 2018, we adopted adult male Shermy (Sherman) from the Humane Society! He is PRECIOUS! 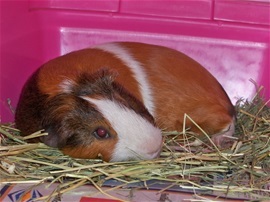 Poor Shermy lived at the Humane Society for weeks while all the younger GPs were adopted. Shermy was just waiting for us ... He was surprisingly relaxed in the pet carrier on the way home with us! 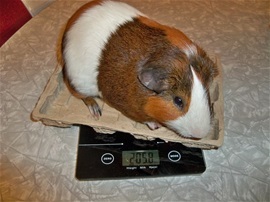 Adult Shermy's 1st weigh-in at his new home. 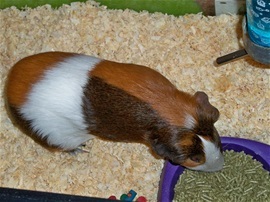 He is receiving the best food and veggies now so, hopefully, he will gain a little weight! 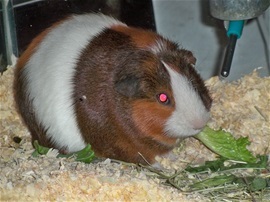 Sadly, Shermy never had veggies before we adopted him. He didn't know what they were when they were first introduced. 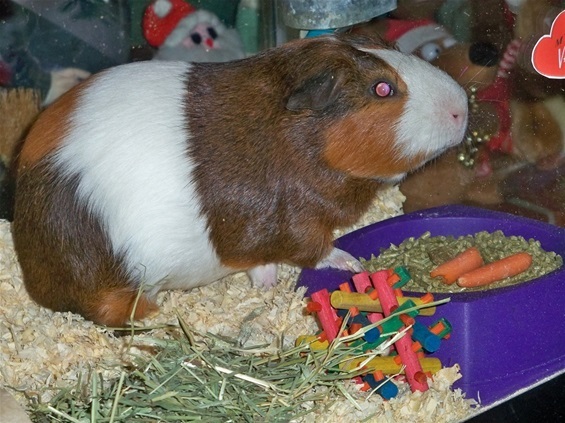 A couple days later, he loved green leaf lettuce, baby carrots, spinach, kale and Oxbow's Vit. C supplement tablets! We're hoping he will learn to love green pepper and broccoli, too! What a handsome, adorable boy! Our Sleeping Angel, Heaven-sent.... Relaxed, happy, content, cozy, secure and LOVED on his first night in his new forever home! 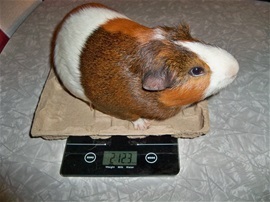 Shermy's weigh in on Feb. 11, 2019 ... He has gained 7 oz. since we adopted him on Nov. 25, 2018(!) 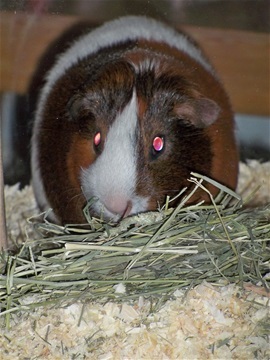 which goes to prove what good nutrition (Oxbow food/hay), healthy veggies, and Oxbow's Vit. C tablets (broken into small pieces) can do! 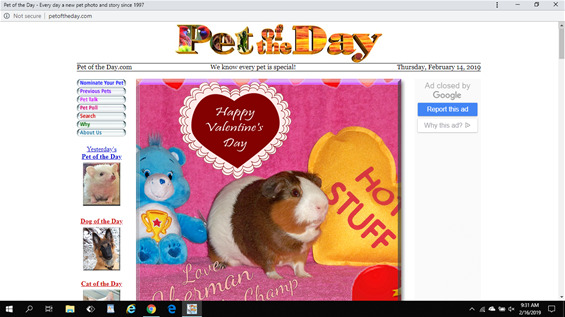 Our precious Sherman the Champ was "Pet of the Day" on Valentine's Day 2019! YAY, Shermy! Click HERE to read his Tribute/Honor! MORE PHOTOS OF PRECIOUS SHERMY COMING SOON! STAY TUNED! NEXT PAGE: Fun Holiday Portraits! 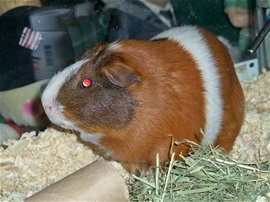 (Mount Rushmore-inspired) and Cavy Statue of Liberty.